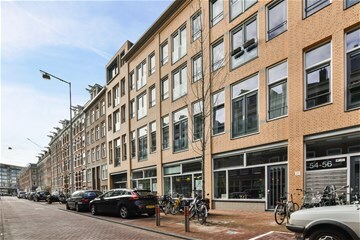 Van Oldenbarneveldtstraat 50 L Amsterdam - Ramon Mossel Makelaardij o.g. B.V. 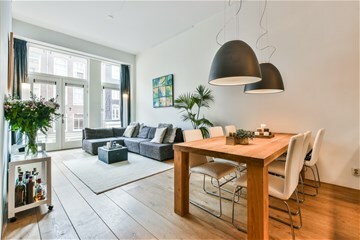 Convenience, space, comfort and location are the best words to describe living at Van Oldenbarneveldtstraat 50-L. 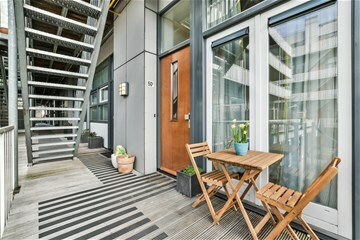 This well-maintained apartment measures approximately 91 sq. m. and boasts spectacular 3.62 m high ceilings, creating an impressive spatial experience. The layout gives the home a pleasant and intimate feel. The floor-to-ceiling windows give the whole property plenty of natural light. 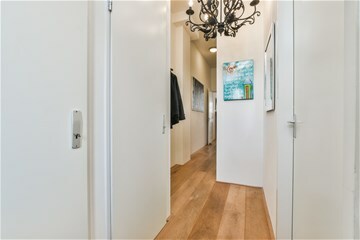 The entire apartment features a warm wooden floor and the walls and ceilings are well finished. The open kitchen complete with Gaggenau fitted appliances is a great space for hosting drinks with friends or concocting culinary delights. 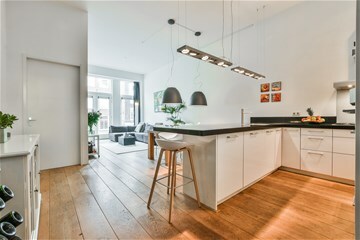 The home is located on the first floor of an excellently maintained apartment complex complete with lift and parking garage in a prime location in the Frederik Hendrikbuurt. 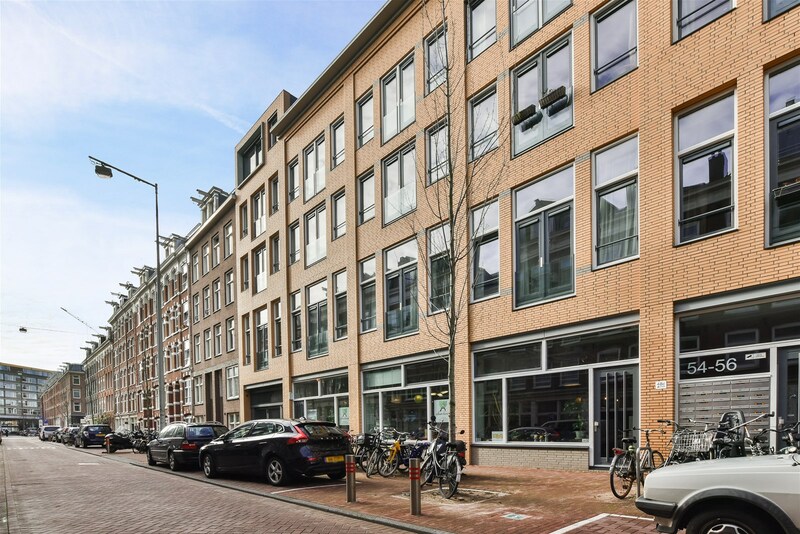 The direct surroundings make the property a great place to live, with Hugo de Grootplein and Albert Heijn just around the corner, and the Jordaan, De Hallen and Westerpark all within walking distance. There is no need to stress about finding a parking space, as you have your own parking space directly under the building. The ground rent has been bought out until 30 June 2055. 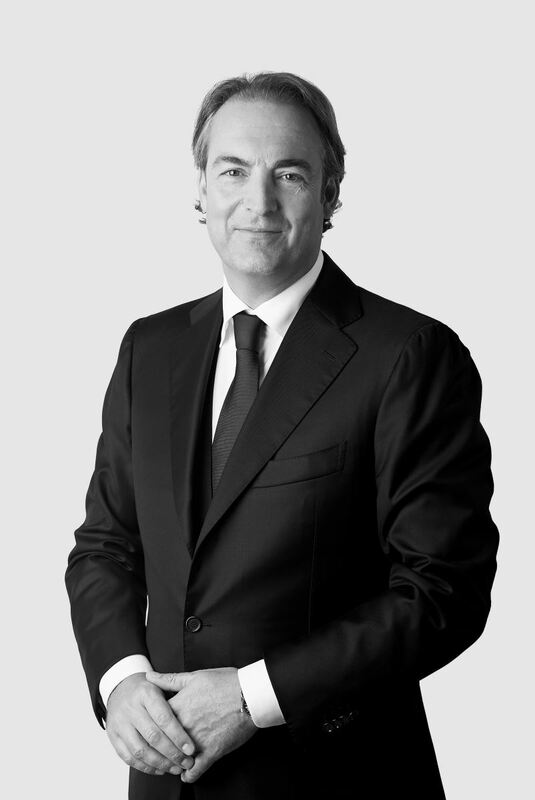 The home owners’ association is active and professionally organized. 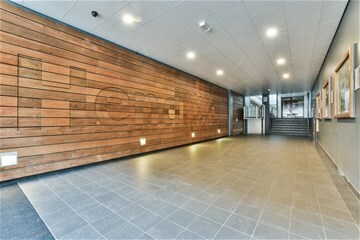 Arrange a viewing now to see everything this attractive urban apartment has to offer! Entrance via a spacious and well-finished central foyer with lift, entrance to the apartment, foyer, toilet with hand basin, bedroom with floor-to-ceiling wardrobes, cable connections and French windows opening onto a cosy terrace, fully tiled bathroom with shower cabin, bath, wash basin and heated towel rack, open kitchen with various Gaggenau fitted appliances, including a refrigerator, freezer, steam oven, warming drawer, espresso machine, gas hob and extractor hood, indoor storage unit with washing machine and dryer connections, living room on the street side of the property with large windows and a French balcony, second bedroom which could easily be made part of the living room if desired.